Prices include consultation. The price you see is the price you pay. When travelling to areas where there is a risk of contracting malaria, we strongly advise that you consider travel vaccinations and anti-malaria tablets as a method of malaria prevention. 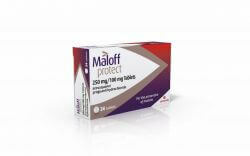 If infected, malaria is a serious disease, however, it can be treated effectively with prescription medication. You can find out more information about the specific anti-malarial tablets needed for your travel destination using the following websites: http://www.fitfortravel.nhs.uk/destinations.aspx and https://travelhealthpro.org.uk/disease/113/malaria or give us a call and speak to our expert pharmacy team. 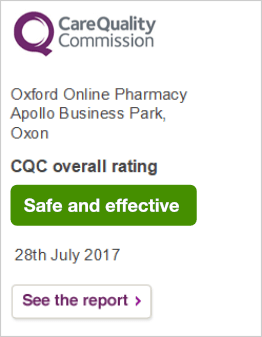 If you require anti-malaria tablets, Oxford Online Pharmacy provides an online consultation with a GMC registered doctor. Please select your tablets and complete the FREE online doctor's questionnaire. Your details will then be reviewed by our doctor and, if approved, your medication will be dispatched to you. If you already have a private or NHS prescription, you can select the tablets and send your prescription to Oxford Online Pharmacy. Your prescribed medication will be dispensed and sent in discreet packaging to you when we have received your prescription. Anti Malaria Tablets, Why Are They So Important? Malaria is a serious and sometimes deadly disease spread by infected mosquitoes. The disease is spread when an infected mosquito bites you and injects parasites into the bloodstream. In turn, malaria tablets work to fight against the parasites and can reduce the risk of infection by around 90%. Malaria is prevalent mostly in tropical locations, as many recorded cases of malaria are found in African countries close to the equator. However, Malaria is also found in Central and South America, Haiti and the Dominican Republic, parts of the middle and far east and some Pacific Islands including Papua New Guinea. Recent findings indicate that increasing global temperatures have led to malaria spreading to higher altitude areas, including densely populated regions in Ethiopia and Colombia. Therefore, as malaria is a serious disease and occurs in over 100 countries, you should always consider taking anti malarial tablets when travelling to high risk locations of malaria. Which Malaria Tablets Are The Best For You? If malaria is diagnosed promptly it can be cured with a course of anti malarial medication. Malaria symptoms can develop as quickly as eight days, however they can take as long as one year to surface. Symptoms caused by malaria often include fluctuating temperatures, headache, muscle pain, tiredness, nausea and diarrhoea. However, malaria caused by the most serious parasite, falciparum, can lead to death. In the UK, about 1,800 people return to the UK with malaria every year, many of these travelers have usually not taken any malaria tablets to prevent contracting the disease. Here at Oxford Online Pharmacy, we offer a free online consultation with a European or GMC registered doctor, who will give advice on the best anti malaria tablets for your specific journey. 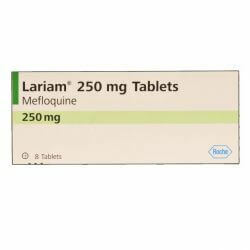 Malarone, Lariam and Doxycycline are prescription only medicines, whilst you do not require a prescription for Proguanil or Chloroquine. 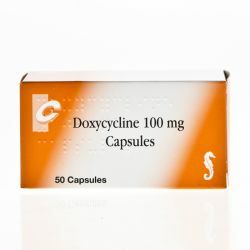 If Malarone, Lariam or Doxycycline are the most suitable malaria tablets for your expedition, you can obtain your prescription online at Oxford Online Pharmacy. The cost of a private prescription is £15.00, which will be refunded in full, if you are not approved. In addition, If you already have a private prescription you can purchase your anti malarials online and send your prescription to our pharmacy, once we have received your prescription your medication will be sent. If you live in the Oxford or Banbury area, you can quickly obtain your travel vaccinations and anti malarial tablets from our The Walk In Travel Clinic without the need for a doctor's prescription.